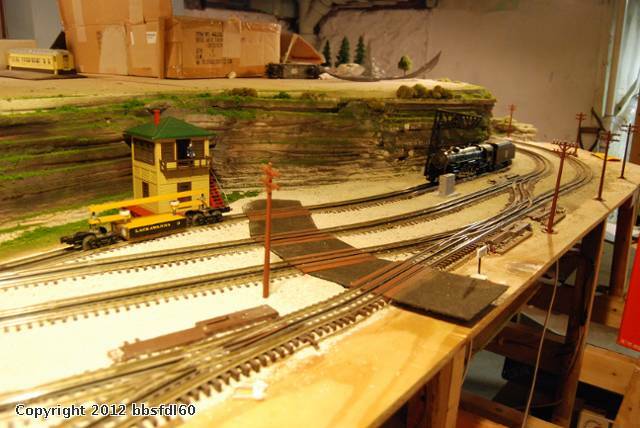 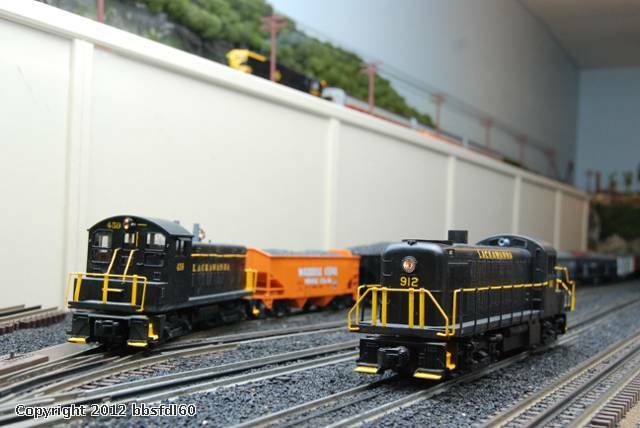 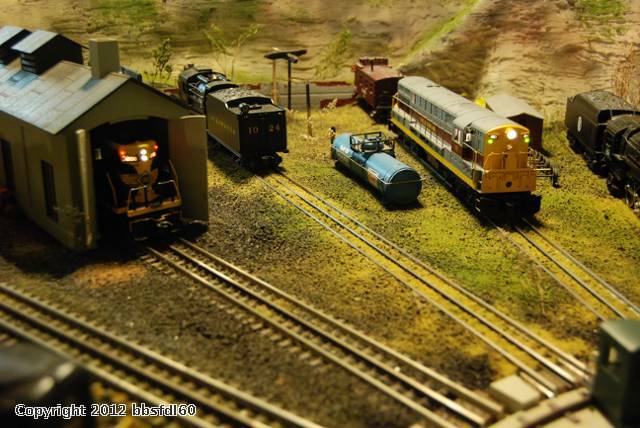 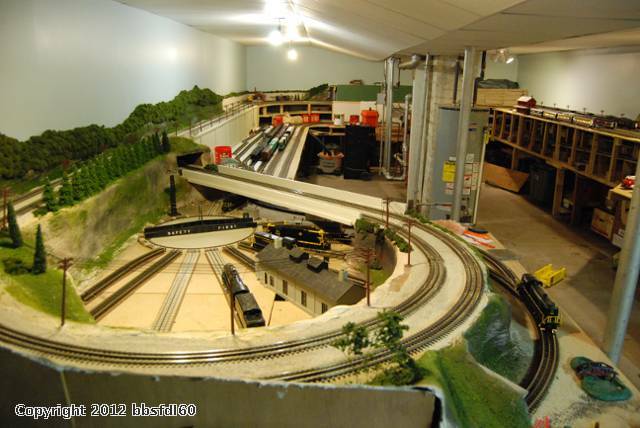 My dream layout began in 2005, I live in Scranton Pa which was home to the DL&W but the Erie, CNJ, D&H and NYO&W all had stations in the city. 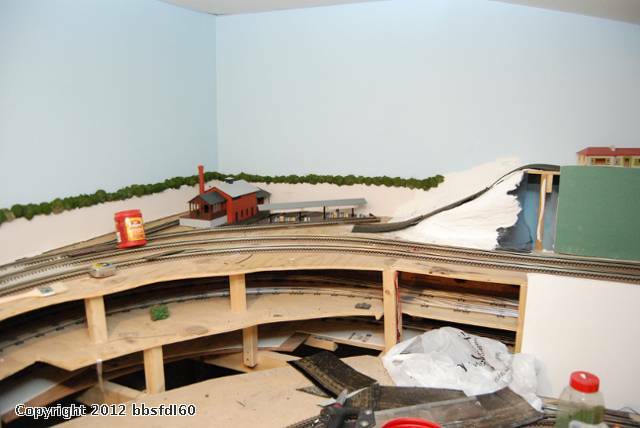 So the layout is based on the area and influenced by them. 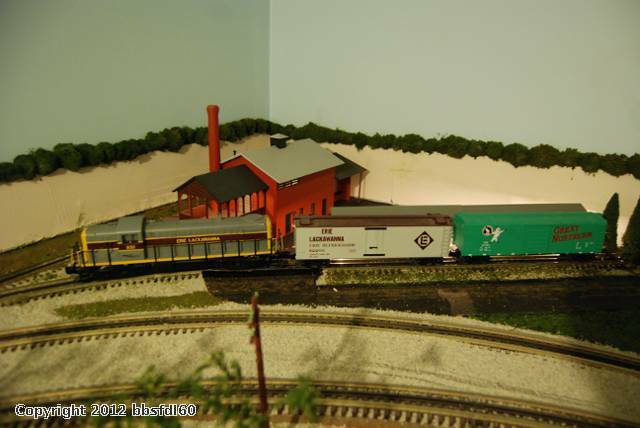 I am modeling the time right after the Erie and the DL&W merged, when a variety of paint schemes intertwined on freight and passenger trains. 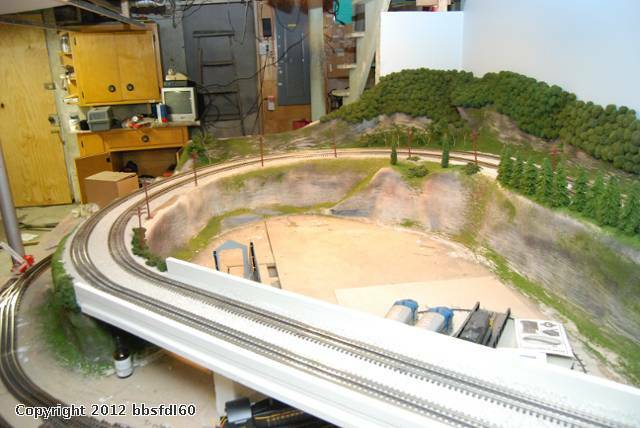 The D&H and NYO&W interchange and are granted trackage rights from time to time. 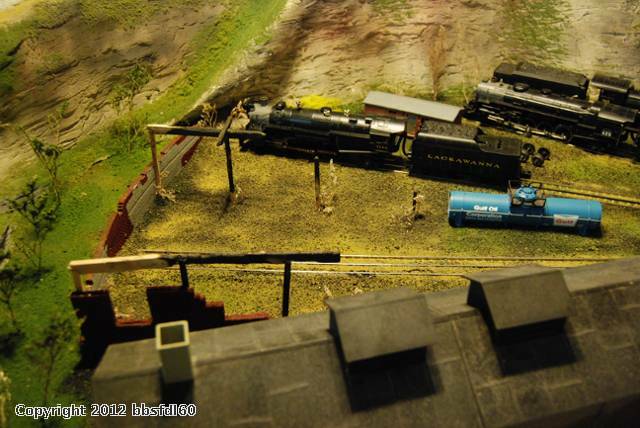 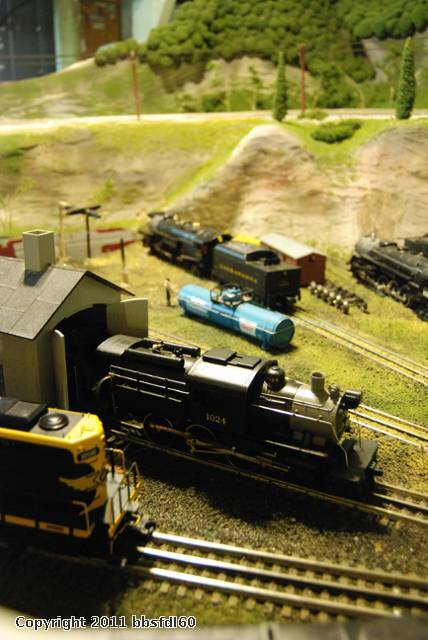 A Brewery, Cabinet factory,lumber mill and a scrap yard all have sidings. 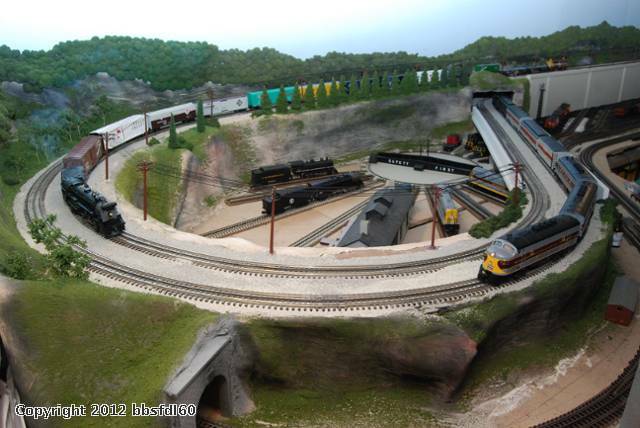 There is a engine facility with a turntable and a classification yard. 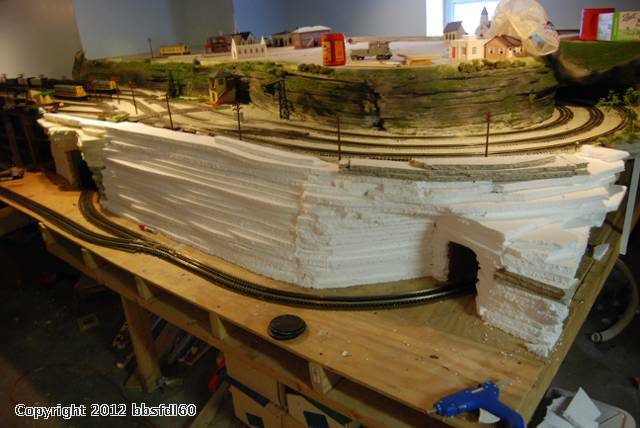 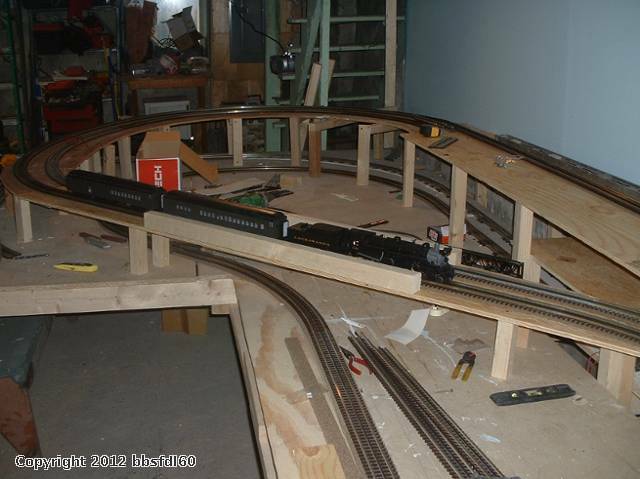 the layout has three loops in a dogbone style, there is a hidden track that allows all levels to be connected so that trains from the yard can be taken to the upper main line. 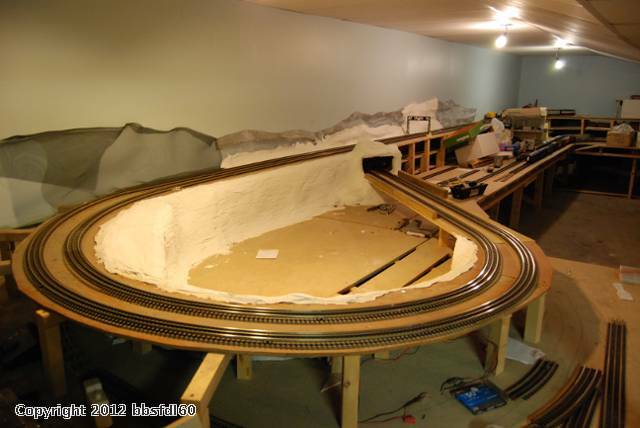 I am by no means an expert at building this, I am learning all the time, and just trying to make a layout I can enjoy and that my son and daughter can enjoy as well. 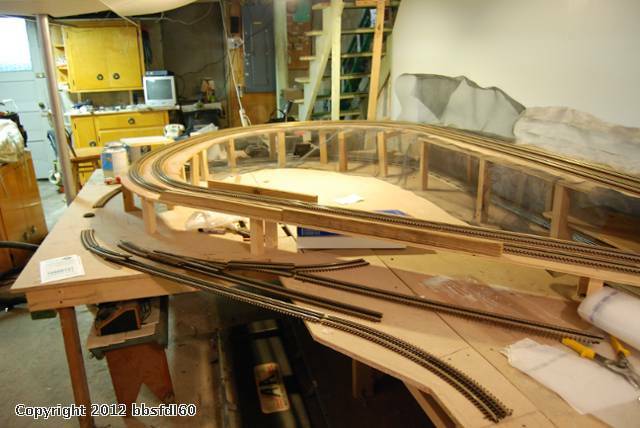 Looking great! 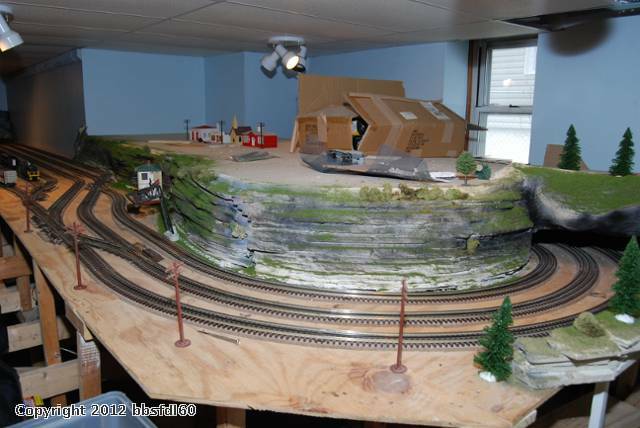 When you have some time, please post about that turntable area in the Turntables category. 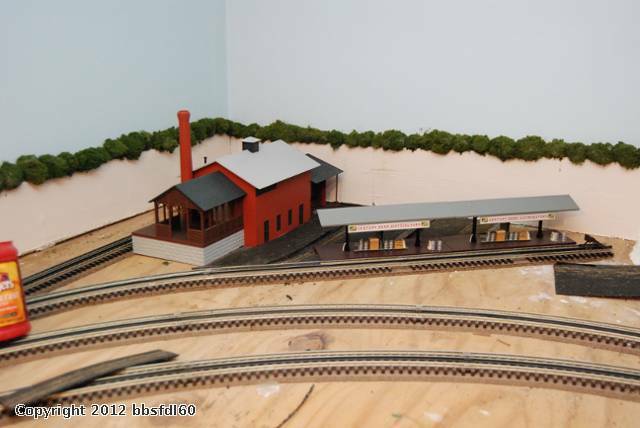 This is the brewery ( unnamed for know until I can think of a witty one) It is served by a spur off the main line. 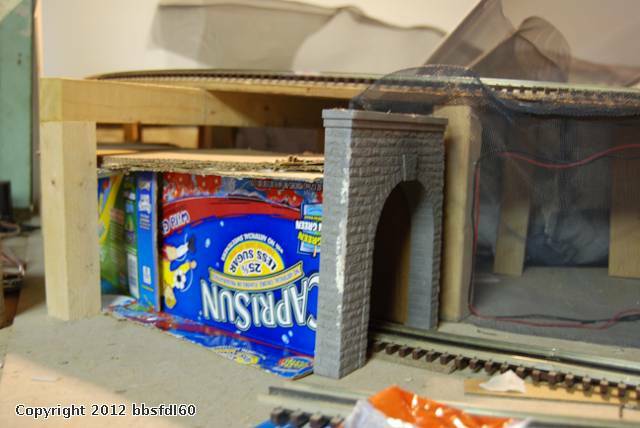 It has two sidings, one for the loading docks on the building and the other to the detached docks. 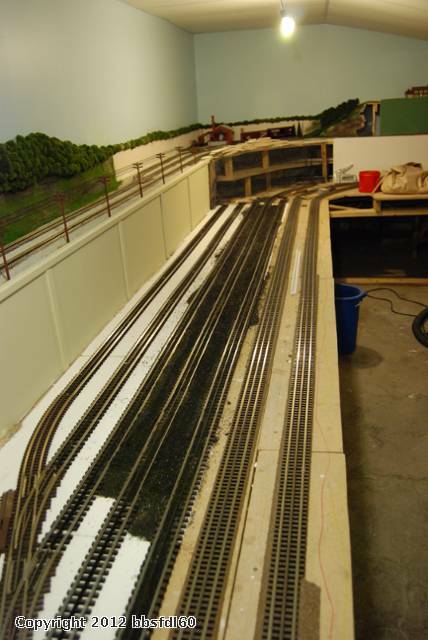 This point shows the progress before scenery was applied.You can see in this view the hidden tracks. 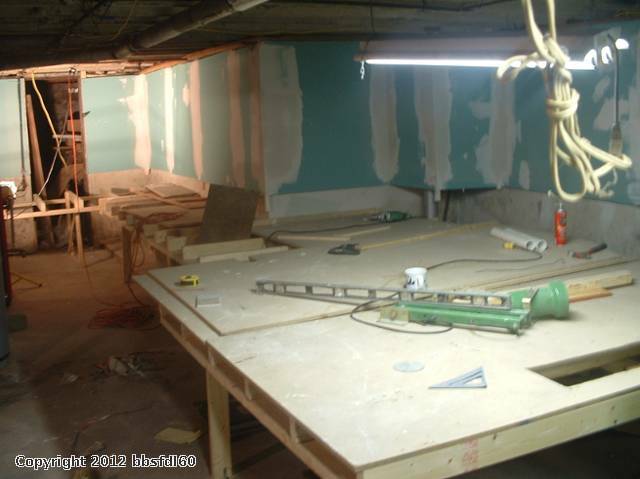 Excellent progress sequence - great work! 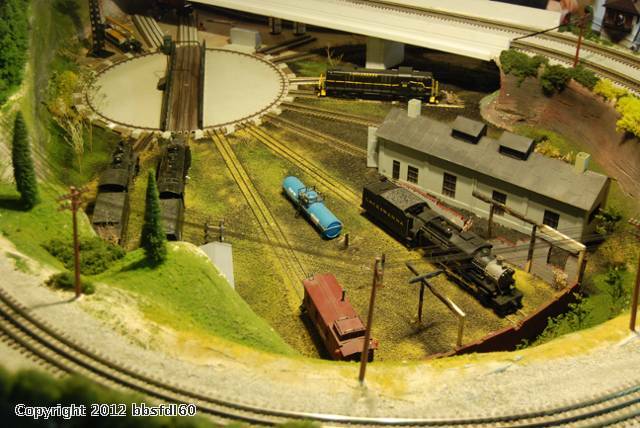 Wish my layout looked this nice! 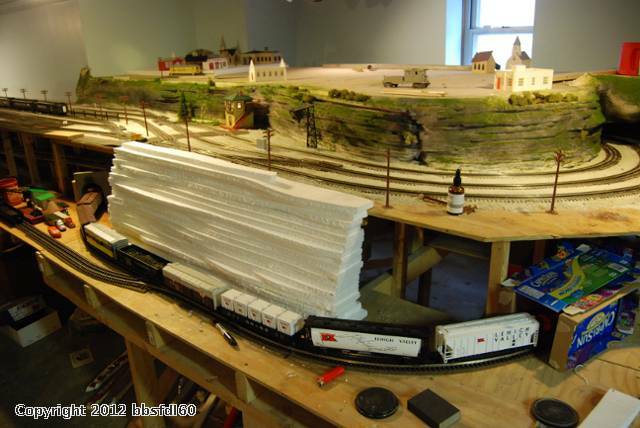 Any updates on this incredible layout?